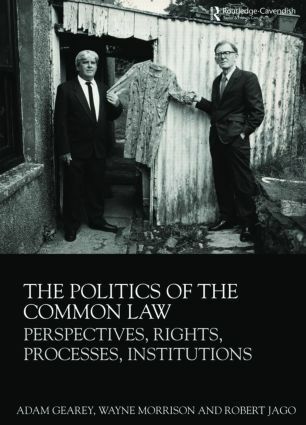 The Politics of the Common Law is an introduction to the English legal system that places the law in its contemporary context. It is not like other conventional accounts that simply seek to describe institutions and summarise details. The book is a coherent argument, organised around a number of central claims. Can today's common law be characterised as a series of emergent practices that articulate the principles of human rights and due process? The common law is presented as historical experience; the authors present the perspective that we are in the opening of a new chapter. The argument examines the impact of the European Convention on the structures and ideologies of the common law, and suggests that there is now a general jurisprudence of human rights stemming from the Human Rights Act. The Human Rights Act has also led to more pronounced judicial intervention into politics, and is precipitating a debate on the forms that the rule of law should assume in contemporary British democracy. Equally important is the function of European Union law, and the extent to which it is also committed to due process and the rule of law. These themes are read into civil and criminal procedure, and broader concerns about the tensions between the requirements of economics and the demands of justice. Can a revitalised common law address a plural, post-colonial future?